National Flag Of India In Jaipur | This Jaipur! On the auspicious occasion of Dhanteras,24.10.2011, Jaipur, gets the tallest, National Flag of India which will fly around the clock in the Central Park of Jaipur. Listed here are some interesting facts about this Flag. The dimensions of the Flag are 72 feet long & 48 feet wide. Total knitted polyester cloth used is 321 sq. mts. The weight is 25kgs. The budget was Rs.76 Lacs. It is the 24th such Flag in India & 1st of its kind in the state of Rajasthan. Interesting Facts about Our National Flag. 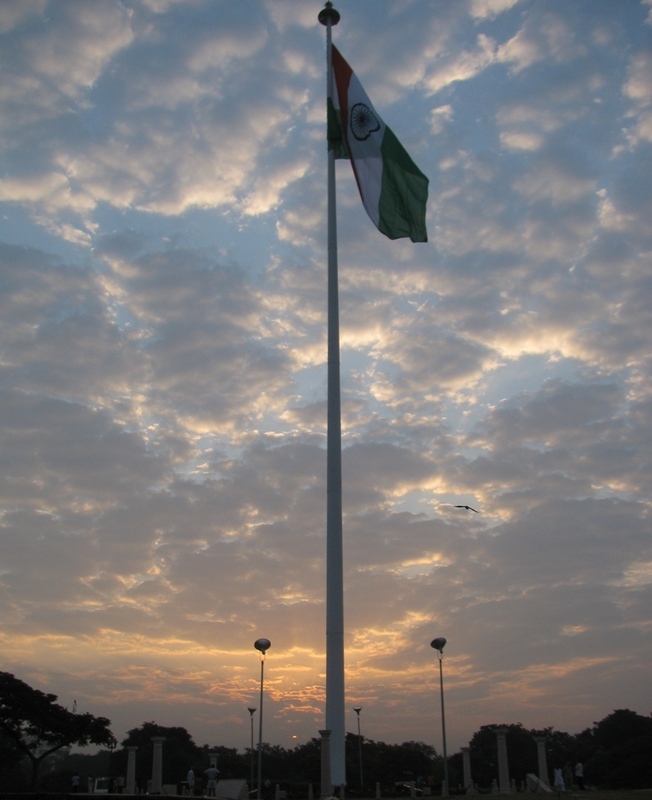 The Tri color of India was unfurled for the 1st time on the Red Fort on 16th August 1947. Parliament of India is the only building where 3 National Flags of India are unfurled at the same time. On the 26th January & on the 15th August the Prime Minister of India unfurls a Flag made out of Reshmi Khadi at the Rajpath and at the Red Fort. On all other days a Flag made out of cotton Khadi is used. On 29th May 1953 when Tenzing & Hillary conquered the Mt. Everest for the first time Indian National Flag was unfurled along with the Union Jack & the Nepali National Flag. Indian National Flag went in space in the Apollo-15 in 1971. The Flag should be unfurled at sunrise & furled at sunset. 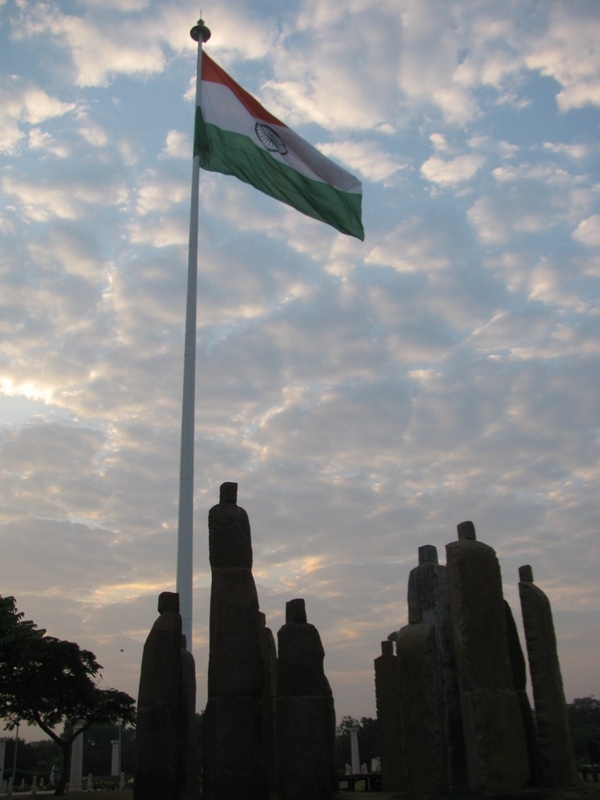 All citizens of India can unfurl the Indian Nation Flag all days of the year at their homes, shops & factories. Ordinary citizens of India can display an image of the Indian National Flag on their clothes which are worn above the waist but not on inner clothes. The unfurled Flag should not be torn or soiled or damaged. The Flag should not be allowed to fall on the ground or in water, knowingly. When the Flag gets damaged for some reason it should be burned in a closed lonely space with all due respect. The image of the National Flag should not be used in any sort of advertisement or for commercial gain. The Flag should be unfurled only with the Kesariya stripe showing on the top. If paper Flags are used on any National occasion etc they should not be disposed off disrespectfully. Description of The Tri Color of India. On 22nd July 1947 The Costitution of India adopted & accepted the Tri Color as the National Flag of India. The Indian National Flag has three stripes of equal length & breadth. Top stripe is colored Kesariya, middle stripe is White & the lowest is coloured green. In the center of the white stripe a dark blue colored Ashok Chakra with 24 spokes is printed. Kesariya color signifies Power (shakti), Bravery, (sahas) & Renunciation (tyag). White is for peace & truth. Green color in the Indian Flag signifies greenery of the Earth, Hope & Prosperity. The Blue coloured Ashok Chakra signifies the ultimate progress of the Indian Nation. This Chakra has been taken from the Ashok Stambh found in Sarnath. History of The Indian Flag. In 1905 Sister Nivedita, the Irish disciple of Swami Vivekanand, first proposed the idea of a one National Flag of India. It was a red squared flag with the image of Vajra of Lord Indra surrounded by 108 “Jyoti” in the centre of the Flag. On 6th August 1906 in Greer Park, Kolkatta, a flag was unfurled which had a green stripe on the top with 8 half open buds of Lotus flowers. The middle stripe, coloured blue, had vande matram written on it. The lowest stripe was coloured red & had the images of sun & moon printed on it. On 22nd August 1907,Madame Bhika ji Kama, unfurled a 3 striped flag in an International forum. In 1916 Dr. Annie Besant & Lokmany Tilak unfurled the ‘Home Rule Movement’ Flag. In 1921 ‘Swadeshi Dhwaj’ was envisioned by a youth. In 1931 ‘ Swadeshi Dhwaj’was altered and accepted as the Flag of INC.
On 22nd July 1947 the present Tri colour was accepted as the National Flag of India. This entry was posted in india, Jaipur, Jaipuri, National Flag, rajasthan, rajasthani and tagged india, Jaipur, national flag, rajasthan, tallest, tri color, tri colour. Bookmark the permalink.